Crosswords and brain games are fun to play and pass the time with. But did you know that figuring out 32-down or finishing that jigsaw puzzle might actually do more than serve as recreation? That's right, brain games, thanks to the cognitive stimulation they can inspire, might have positive health benefits and help seniors stay sharp. 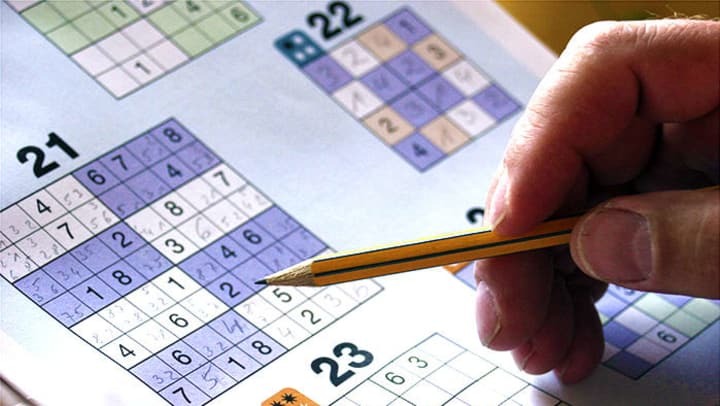 While doing a Sudoku puzzle a day won't necessarily keep the doctor away—as brain games alone won't keep you healthy—there's still a lot of benefit in regular brain teasers. The good news is seniors have more choice and access to such puzzles than ever before. While some may always have their favorite puzzle page from a local newspaper on-hand, the internet and smartphone technology have significantly revamped the brain game landscape. Now, seniors can download any one of a number of popular apps and get diverse games, or head to an online puzzle archive site, which is like a virtual candy store for crossword fans. The bottom line to understand is that brain games, while they have benefits, can't be the only type of activity seniors take part in. However, when part of a larger and more varied schedule—which may include exercise or learning a new skill—these puzzles can add to the overall gains seniors may experience when keeping active in retirement. For those who've always loved word puzzles or other teasers, even in youth, there's all the more reason to keep up the hobby. Recent research found that a life-long habit of brain stimulation was associated to a lower presence of proteins linked to Alzheimer's disease. The research, conducted at the University of California, Berkley, highlighted brain scans of people with no Alzheimer's symptoms who had "engaged in cognitively stimulating activities throughout their lives" that showed fewer deposits of the damaging beta-amyloid protein, often thought of as an indicator of the disease. While researchers cautioned that this relationship was observed over a lifetime of playing brain games, they allowed picking up the habit later in life can still have benefits. "There is no downside to cognitive activity," said Dr. William Jagust, a professor at UC Berkeley's Helen Wills Neuroscience Institute. "It can only be beneficial, even if for reasons other than reducing amyloid in the brain, including social stimulation and empowerment. And actually, cognitive activity late in life may well turn out to be beneficial for reducing amyloid. We just haven't found that connection yet." Indeed, cognitive therapy stimulation—which engages groups of seniors suffering from dementia in activities like creative thinking, word association, number games and team quizzes—can prove useful in treatment. Chinese researchers found CTS was effective in mitigating apathy and depression symptoms according to the Mini Mental State Examination, a global standard, in patients with mild to moderate Alzheimer's. Enough about the research, let's get to the puzzles and brain-stimulating activities themselves! You don't have to be a New York Times fan to enjoy crosswords, as they make the perfect companion on car trips or rainy days and sunny mornings. If you enjoy paper and pencil—and if you're daring, pen—then check out a local bookstore to find a volume of crosswords, which come in various difficulties and themes. For online formats, check out AARP's free daily crossword, or free printable puzzles. Cards are another easy way to keep yourself occupied and thinking. No matter what your game is, whether you prefer solitaire and its variations or bridge with a group of friends, the deck may deal you brain benefits, as well as a good hand. Computers regularly come installed with a solitaire program, while other games can be played online. As a modern saying goes, "there's an app for that." And there's certainly a number of apps for brain games. Seniors are increasingly using technology, so taking advantage of the app store makes sense. Lumosity is one just option that's highly popular and which has loads of visually flashy and stimulating games, like this train-switching challenge. Some other choices include this inventive app for Android users that's like a digital paint-by-numbers. History buffs, cinema lovers and sports fanatics can all unite in their love for trivia—as well as their love to show off their knowledge. Trivia and quiz games are perfect for those who follow current events or who can't get enough general knowledge. One of the best ways to get your daily trivia fill is watching Jeopardy!. Most Trebek fans know when the show is on, but some might be surprised to find an online game that you can play on any personal device also exists. The list goes on, but whichever brain game you prefer, make sure to engage with it regularly. Not only can this help your mood, but it's also likely you're doing your health a favor by keeping active and cognitively stimulated. Such enrichment opportunities are a focus in retirement communities, and brain games can have tons of benefits. Have a question about retirement communities? Call or email us today!